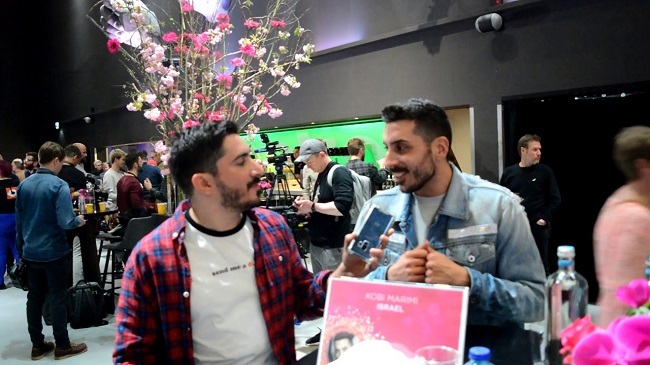 Also present at Eurovision in Concert 2019 is the artist who’s representing the hosting country Israel this year: Kobi Marimi! ESCBubble were in Amsterdam too and had the chance to talk to him. Does he feel the pressure because it’s his own Israel organising the contest? Which one of this year’s contestants has he already met because that artist came to Israel for their postcard shooting? And what are his plans for after the concert? Ahmad finds out in a friendly chat with Kobi! Kobi, representing the host country Israel, is pre-qualified to the final already and even knows his spot in the running order already! Curious what our panel of casual viewers think of ‘Home’? Check it out in The Public Reactions! The Public Review “Home” by Kobi Marimi! The Public Review “Bigger Than Us” by Michael Rice!